Yesterday I reported about the index status report update in the Google Search Console reporting tools. 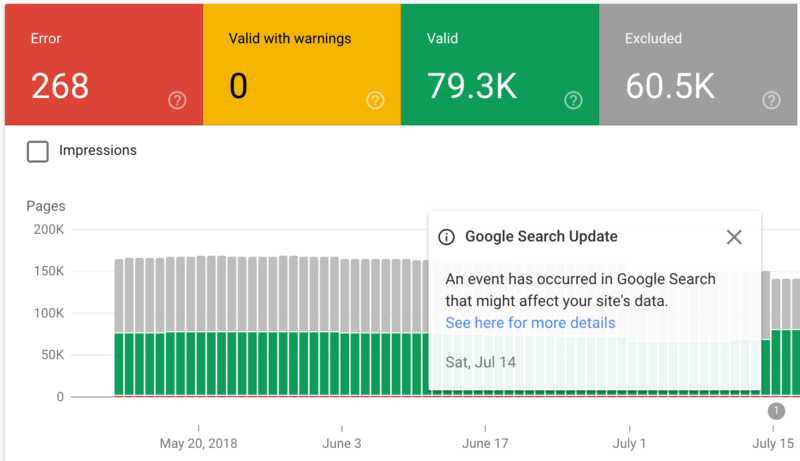 I mentioned how Google added a note to the report that says "Google Search Update: An event has occurred in Google Search that might affect your site's data." I asked Google's John Mueller to tell the Google Search Console team to rename it because it will confuse folks into thinking it is related to the Google update from last week. Google Search Console will not tell you when there is an algorithm update. This notice is just about the index status report update - which is unrelated to ranking changes in Google search. It is just about how Google does reporting in Google Search Console, that is it. Please don't let your clients or yourself be confused by this messaging.